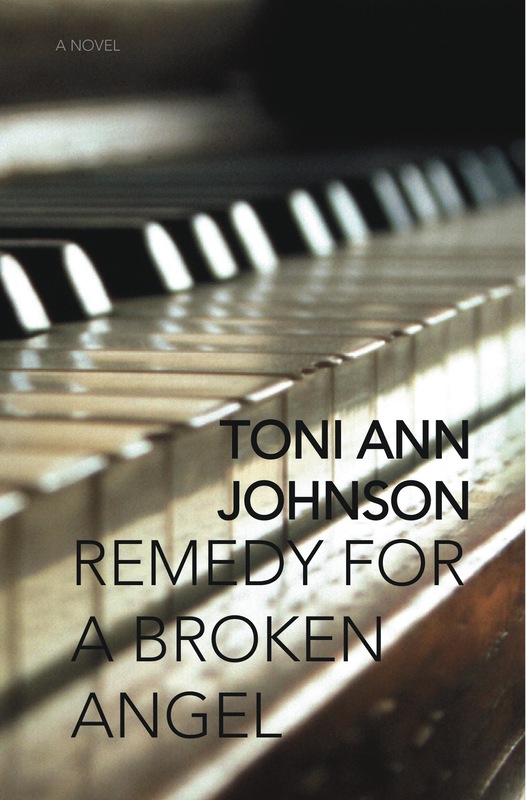 Interview with Toni Ann Johnson about her novel, Remedy for a Broken Angel, Part 1. 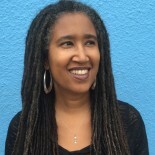 Toni Ann Johnson has researched and written a number of historical films about people of African descent. Disney’s “Ruby Bridges” told the story of the child who integrated the New Orleans public school system in 1960. “Courage To Love” for Lifetime Television looked at the life of Henrielle Delille, a free woman of color in mid-19th Century New Orleans whose mother was a Quadroon mistress to a European man. Delille rejected that life and instead worked as a nurse caring for abused urban slaves. She later petitioned the Catholic church to become one of the first nuns of color in the country and she began the order Sisters of the Holy Family. “Crown Heights” for Showtime Television looked at the tension between African-Americans, Caribbean-Americans their Hasidic Jewish neighbors in Crown Heights Brooklyn at the time of the riots there in 1991. Remedy For a Broken Angel is her first novel. AD: Tell us a little about your book and how it came into being. TAJ: Remedy For a Broken Angel is the novel’s title. Its genesis was a dream I had years ago wherein my mother (not my actual mother– a dream version) slept with a man I loved. I was shaken and couldn’t stop thinking about it. The things my subconscious kicked up needed to be addressed. The first iteration was a short film script, then a longer script. Neither satisfied me. I gave up on the story, but the characters wouldn’t leave me alone. I’d think about them, they’d bang about in my head, and I had an unsettled feeling that they had more to say. I’d never written a novel, but I wanted to try, because the characters demanded to be explored fully. The dream was in 1992. I wrote both scripts in ’93. 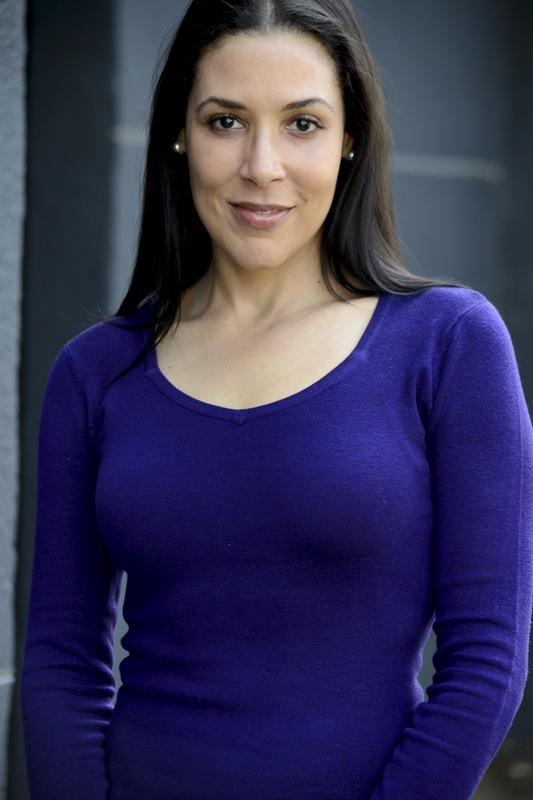 Beginning in 1994 my screenwriting career took off after I signed with a big literary agent (Dave Wirtshafter) and I was working continuously on writing assignments back to back for about a decade. Then in 2003 things slowed down. Rather than focus on getting my screenwriting career humming again, I took a couple of years off to work on the novel. I’d been thinking about the characters all those years. A draft was completed in late 2005. 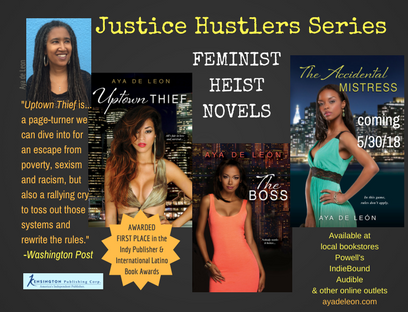 Early in 2006 a New York book agent, Marie Brown, agreed to represent the novel. She sent it to a few big publishers and it didn’t sell. I didn’t know enough about the publishing business to consider small presses, which was a good thing, because instead of continuing to try to sell it, after one more screenwriting assignment that came unexpectedly in 2007, I took the following few years to train in a writing program. I’d never studied fiction before. I’d studied playwriting and screenwriting but I didn’t know how to write a novel, despite having tried to do it. I went back to school and earned an MFA in creative writing at Antioch University. When I completed the program, I re-wrote the book. Then re-wrote it twice more. I sent it to an agent who said she’d read it, but never got back to me. In the meantime a friend and colleague Kate Maruyama (author of Harrowgate) told her mother, author Kit Reed about the novel and Kit was kind enough to recommend it to Akashic Books. Johnny Temple, the owner, told me that the book had gone to committee, but ultimately they didn’t reach a consensus, so it wasn’t for them. But I was encouraged that they’d read it, and that a couple of people on the committee liked it enough to discuss it. So I kept sending it out. The next publisher that read it was Nortia Press and they made an offer. The book has gone through another couple of drafts with Nortia’s editor, Nathan Gonzalez. I’ve lost track now of how many drafts there have been altogether, but I’m glad it’s finally coming out. I’m halfway through writing my next book, which is a collection of linked short stories. AD: Were there particular things you wanted to say about Caribbean identity, artists, music, family, race, gender or our generation? TAJ: For me, the significant ideas that emerged are psychological and spiritual. The book tries to answer the question: Can one forgive the seemingly unforgivable? The central characters– mother and daughter– Serena and Artie each suffer trauma during childhood. The sexual betrayal (Serena sleeps with Artie’s husband) is just the catalyst that forces both women to dig into their pasts. Serena, a jazz singer, abandons Artie when she’s a child. Serena was abandoned herself when she was a little girl living in Bermuda. She was given to an aunt and the story she was told was that it was because her parents and siblings were passing for white and she was too dark to pass. She has immense anger about the experience and she’s unable to process it. It manifests in a variety of ways, including narcissism, which brings with it an inability to lovingly parent her daughter Artie. Serena’s ambitious; driven to succeed as an artist more than she’s interested in mothering, and she’s focused on her own emotional needs more than she can meet anyone else’s. She’s also competitive with her daughter. I was interested in exploring Serena’s narcissism to make sense of it, and to see if I could find compassion for it. If you’re the child of a narcissist it’s very difficult to forgive, but not forgiving has consequences. I was also looking at colorism and its effects on families. While Serena is Bermudian, colorism and passing are, of course, not unique to Bermuda. They exist anywhere that slavery or colonialism existed, and anywhere that there’s a dominant culture belief that lighter is better. There’s another character in the book, Serena’s lover, Jamie, L’Heureux, a jazz artist presumed to be white whose ancestors lived in New Orleans. He, too, has a family history that includes relatives who passed for white. And in that case a family was damaged by it, too. I’m interested in how those kinds of histories, play out in the present. The book traverses time periods with the past constantly affecting the present. Old wounds continue to ache, time isn’t always enough to heal them . There are a series of coincidences in the story– connections between people and places– and I was interested in looking at the way parts of our lives sometimes seem to have a destined design to them. I find myself drawn to, or connected to certain people and circumstances, and often it turns out that those interactions are meaningful, or lead to some kind of growth, as if the soul purposely led me to them. This idea of being drawn to a seemingly negative experience that ultimately leads to something good intrigued me. The characters experience deeply difficult things, and I wanted to find the grace in those difficulties. AD: Can you talk a little about your writing process? TAJ: It’s pretty much one of a lot of thought, meditation, and then writing draft after draft after draft. It’s slow. Some drafts are full revisions. Others focus on one character, then another. There have also been drafts for specific elements, like describing the music. My editor asked me to think more deeply about what the music could be expressing in different scenes. Originally, I saw the music as an expression of sexual energy. It is that, but it can also express a range of emotions, so I explored them. My process generally starts with emotionally connecting with a character. In this case, it started with emotionally connecting with the two main characters, one of whom is a narcissist. When I began writing Serena years and years ago, I didn’t realize it was narcissism. I just knew that her behavior was familiar because I knew a woman like her who was physically and verbally abusive and justified that abuse as an appropriate response to the behavior of others. I spent years observing her, trying to understand her thought process. I was able to emotionally connect with a character who had this difficult personality, despite not approving of her behavior. As a writer, I could wear Serena like a costume, move through the world like her and feel what she felt. Often during the writing process I meditated, took walks, and tried to spend time thinking before executing scenes and passages. There are several jazz musicians in the story, so I spent a lot of time with music. Charles Mingus’s spirit is a character in the novel and I listened to him. I also listened to Miles Davis. Carlos Santana wrote a piece that comes up in the novel repeatedly called “Europa.” He recorded it on guitar and it was also recorded by saxophonist Gato Barbieri. I often listened to a group called BlackNote, that was based in LA in the 90s. They were a young, multiracial group of talented musicians that helped inspire the musical life of Artie’s young husband, Kendall. When I was working on the first draft, I wrote nearly every day. Then I didn’t work on the book for a couple of years. I just thought about it a lot while doing other things. When I finally committed to going back to the book, again, I wrote nearly everyday. After I had a draft, I gave it to colleagues, got notes then went back into it, revising again and again. Can you tell us about the book’s publication journey to print? Anything you would want to tell writers who are still struggling to finish or publish their first book? Where can people get the book and where will you be reading? The contents of Toni’s new book are fascinatingly penetrating on emotional as well spiritual levels just as this revealing interview exhibits. Toni’s not only a inventive writer but a stunningly “deep at thought” person. Perhaps “Remedy For A Broken Angel” will be the first of her many “archives of man’s modern day inner and outer existence”. This entry was posted on March 14, 2014 by Aya de Leon in Uncategorized.